Are you waiting for a baby boy and want to celebrate your pregnancy? If you are, then this is a good time to hold a baby shower event. The first thing to think about is an invitation to your friends and family. Approximately, what theme is suitable to expect your handsome baby boy? Baseball baby shower invitations will be perfect to be chosen as the theme of the baby shower event to announce that your baby is a boy! This invitation design is very cool, and looks simple but has a character. With the dominant of white and blue colors with a little bit red accent of a typical baseball theme, this invitation looks very casual and suitable for the baby boy. The choice of words is simple but unique and has a deep meaning. With the words “it’s a boy” at the top and the letter “o” resembling a baseball ball, this invitation clearly announces that your baby is a boy. 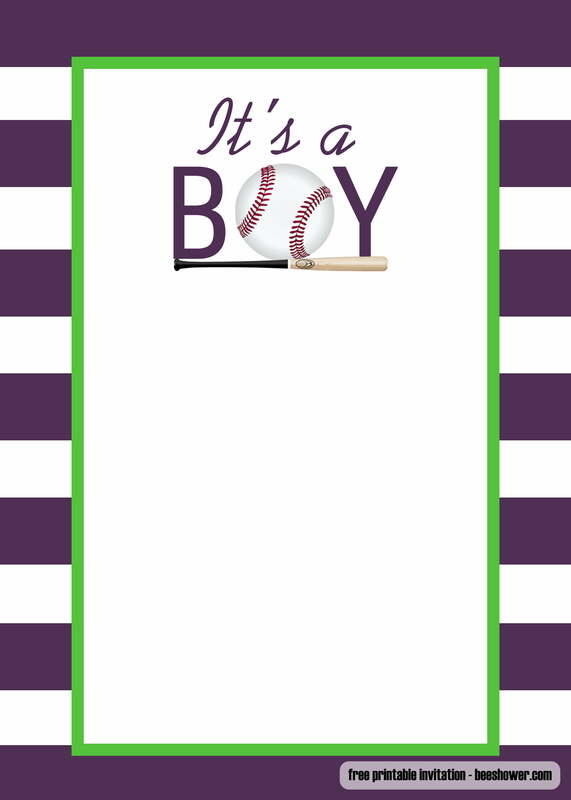 The phrase “a sweet little slugger is on his way” clearly told the invited guests that this event was for the baby shower waiting for the hero’s birth. The unique design will not look good if it has no good image quality. However, you don’t need to worry because all the invitation templates we provide have a high-quality image. 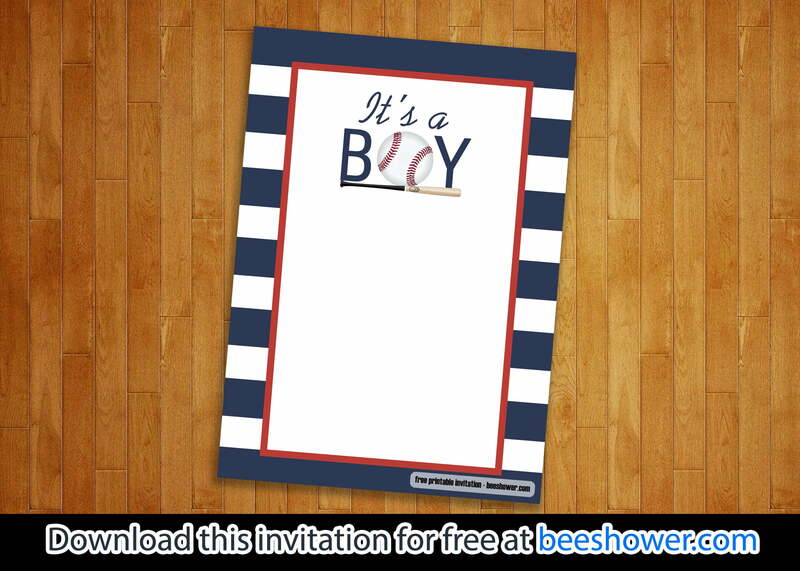 These baseball baby shower invitations come in 1000 x 977-pixel size. Why do you have to download invitations from our website? Because we have the best designs that are creative and different from the designs offered by other websites. In addition, this attractive design can be downloaded for free, because we provide this template for personal use, not for commercial purposes. To download it, you only need to choose whether to download it in PDF or JPG format. And you can edit and fill your identity easily. Or, if you want to add a design that you like, you can use Corel Draw, Adobe Photoshop, Macromedia FreeHand, and so on. Baseball Baby Shower Invitations will look great for printing using various types of paper, such as Art Paper or Art Carton, with glossy or doff accents.